Disclosure: We were invited as members of the media to experience Knott's Spooky Farm. All opinions are our own. 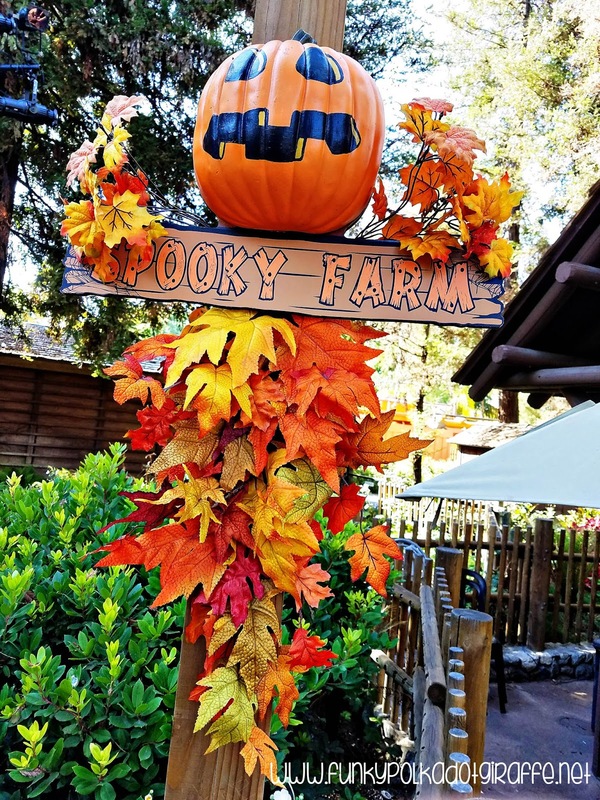 If you've been anxiously awaiting the return of Knott's Spooky Farm like we have, then your wait is over! It's Knott's Spooky Farm time, y'all! Unlike it's more sinister cousin that takes over Knott's Berry Farm at night during this time of year, Knott's Spooky Farm is a kid-inspired SPOOKY celebration during weekends in October and Halloween day. 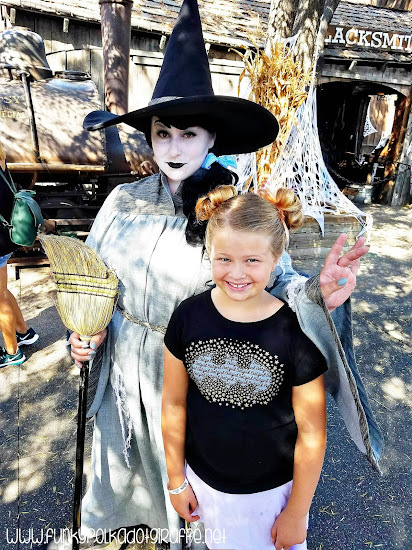 This family friendly Halloween celebration features activities for kids ages 3-11 - like trick-or-treating through Ghost Town, live shows and a costume contest. One year we won the costume contest with our Peanuts costumes. It is so much fun! 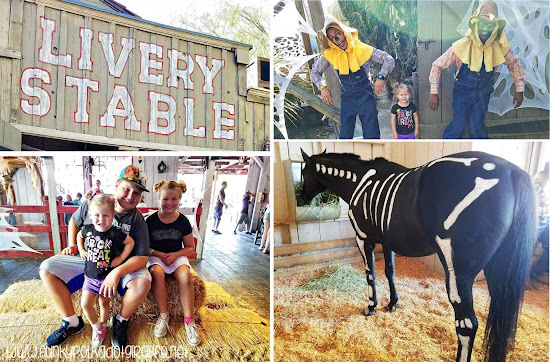 There are new and exciting things at Knott's Spooky Farm this year, so let's take a tour through a day at Spooky Farm and show you what it's all about! Ok, let's get down to it, yes, there is candy at Knott's Spooky Farm! If your kids are like mine, this is what motivates their day at Spooky Farm - get all the candy! As you enter the park the kids get a fun bag for collecting their yummy treats and then you are free to hit up all the treat stops in Ghost Town to collect your booty. I love the cute doors at each stop and that they all have fun and spooky doorbell noises! Just like during Ghost Town Alive! this summer, the fun and friendly citizens of Calico are out and about all throughout Ghost Town. They'll measure you for a coffin, stop for an afternoon chat, and maybe if do a magic trick or two. They are kind, helpful and hilarious! I could spend the entire day gabbing with each character and checking out what kind of shenanigans they are up to. I love that even my little Grace wants to greet each character to find out what they have to tell her about what's going on in Calico. New this year, the Livery Stable has been transformed by Stanley Scarecrow and his buddies into the Creepy Critters of Calico! Here you can get up close and personal with spiders, snakes, and all other manner of creepy critters. The kids all loved it! You need to check out my Facebook Live video and see all the cool things we saw! 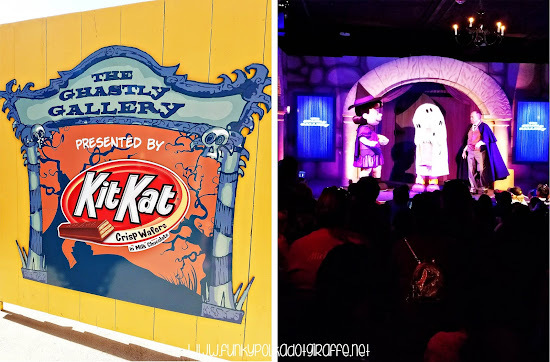 This year the Boardwalk Ballroom has been turned into The Ghastly Gallery presented by KIT KAT®. There are two opportunities for fun as you can catch a live show starring some of your favorite Peanuts characters or give your little ghouls the opportunity to draw their be "monsterpiece". I suggest you go early to get a good seat! It fills up quickly and we were turned away twice because it was already full! 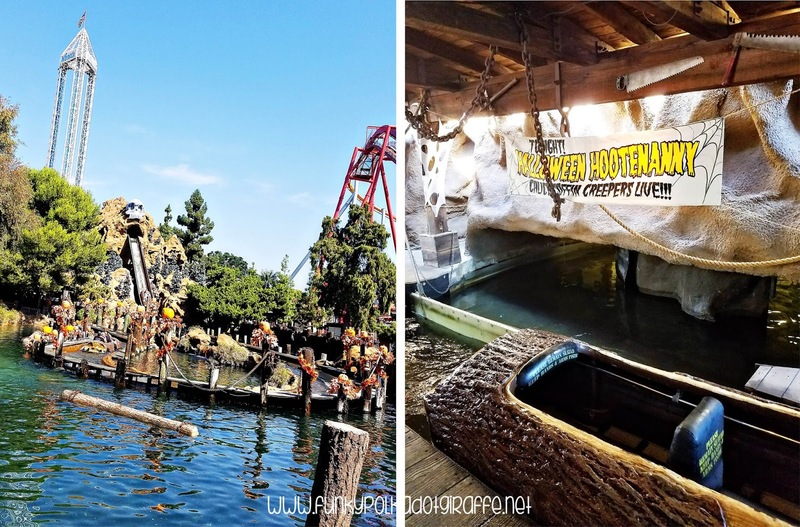 One of my favorite things about Knott's Spooky Farm this year is that the Timber Mountain Log Ride was mystically converted into the Halloween Hootenanny!!! The mysterious creatures that live out in the woods and caverns of Calico are invited to join the citizens of Calico to celebrate the season at the Halloween Hootenanny. You'll see the Calico Coffin Creeper Band, the town's green witch, and splash down Skull Mountain through a labyrinth of jack-o-lanterns. I was so excited that Grace was tall enough this season and we all got to experience the ride together! You can decorate your very own pumpkin the Ghost Town Pumpkin Patch in Calico Town Square. For a nominal fee the kids can create their own spooky (or cute!) 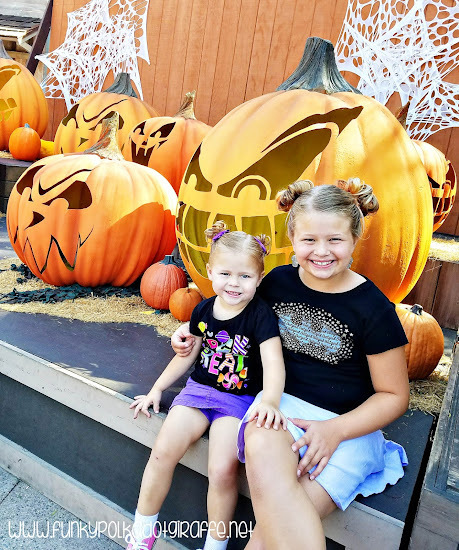 jack-o-lantern as a memento of their fun day at Knott's Spooky Farm. Be sure to take advantage of the fun photo opp too! Fiesta Village is decked out and celebrating El Dia De Los Muertos all month long. This interactive, non-scary, educational celebration offers a walk through a village filled with photo opps, educational activities and face painting at a nominal fee. This was Isabella's favorite part of Knott's Spooky Farm. She loved all the decorations and opportunities to learn more about this cultural celebration. Or as I like to call it during this time of year - CAMP SPOOKY! It is all decked out from head to toe in cute and spooky decorations! It is probably my most favorite spot in the park - especially since they have even decorated the grounds around the waterfall! I just love it! 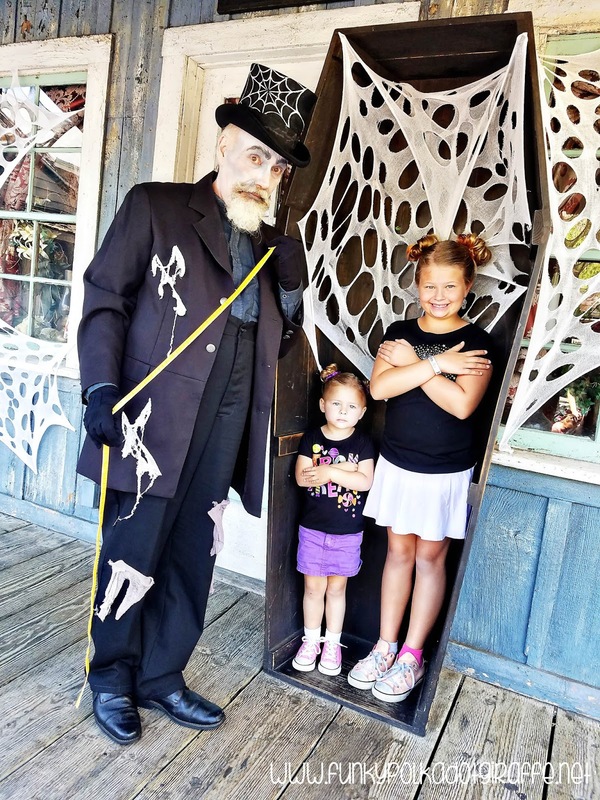 While you're there be sure to visit The Grand Sierra Railroad and take a ride on "A Trip to Camp Spooky" presented by REESE'S! It's super cute and totally in the Halloween spirit. 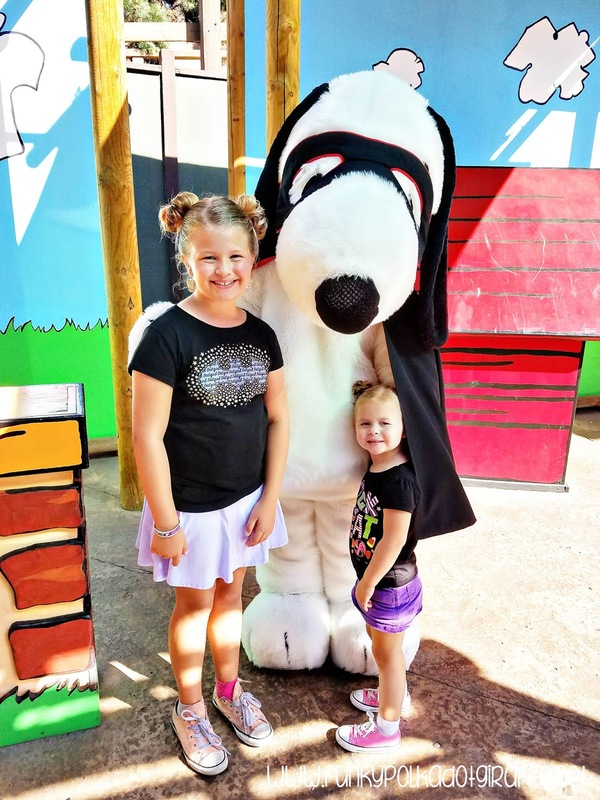 You will also find your favorite Peanuts characters decked out in their Halloween costumes and be able to snap a few pictures with them in the meet and greet area. Plus, stop by the Campy Snoopy Theatre presented by HERSHEY'S for the Peanuts Costume Contest (we won one year!) and then join the Peanuts characters in a dance party!!! While you're there, you'll also want to watch the Peanuts gang in The Monsters Are Coming, Charlie Brown! You'll be dancing and singing along with your favorite Halloween tunes. If there is one thing that Knott's Berry Farm always does right, it's their seasonal food offerings. 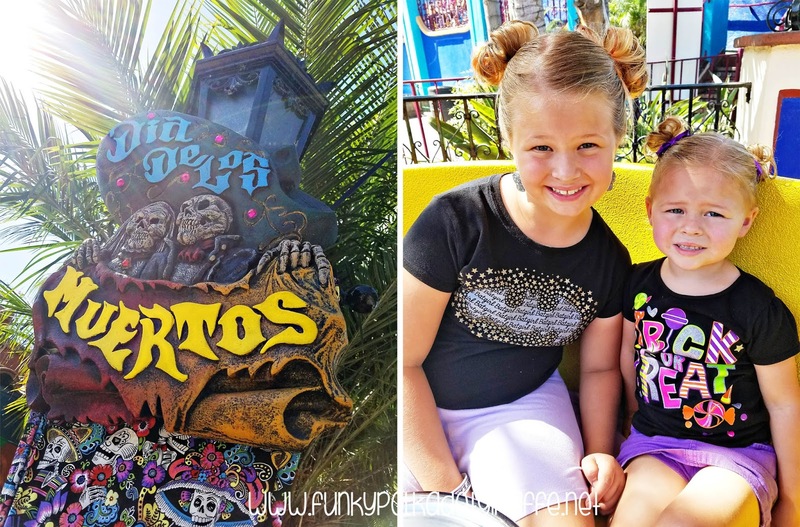 They are always delicious, always fun, and always leave you wanting to come back again and again to enjoy them! 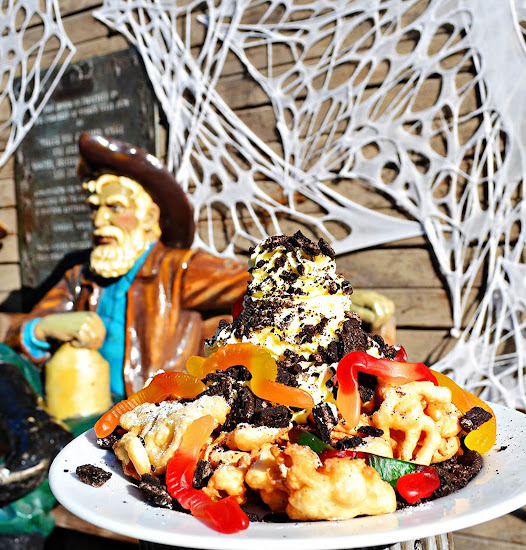 Spooky Farm is no exception and you need to try the fun Halloween foods before they disappear! 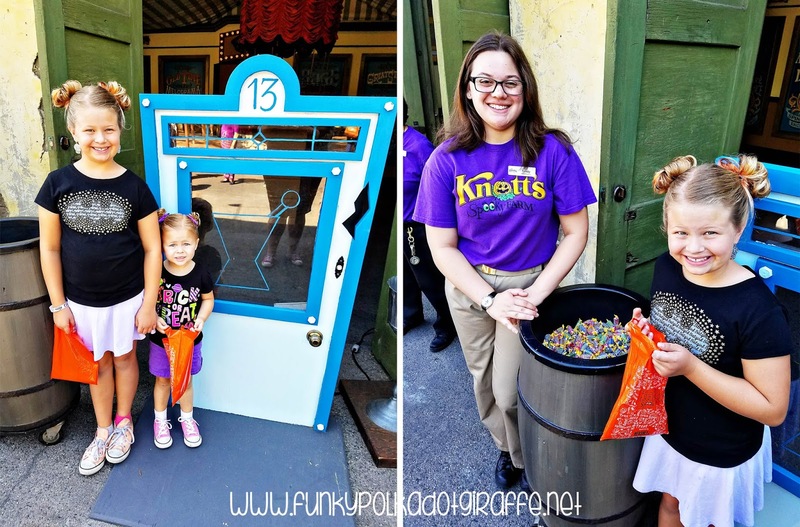 We love our Knott's Berry Farm funnel cake, so we definitely had to check out the Gummy Nightmare Funnel Cake! It has Oreo cookies and gummy worms - so pretty much a kid's dream come true! You can only find it at Ghost Town Grub, so don't miss it! 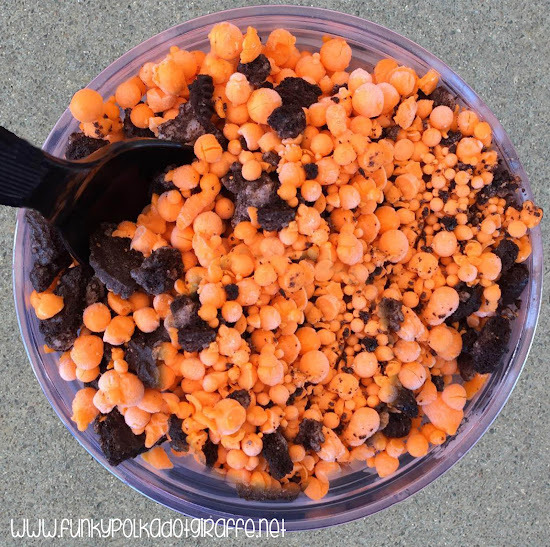 Spookies and Cream Dippin' Dots are back and they are my favorite! As if cookies and cream isn't the best, the black and orange just puts it over the top. You also will want to check out the Monster Burger at Ghost Town Grill, the Pumpkin Churro Sundae at the Churro Factory, and the Ice Cream Spookiewich at the Cave-Inn. Come hungry and don't forget to grab some napkins - you're going to need them! 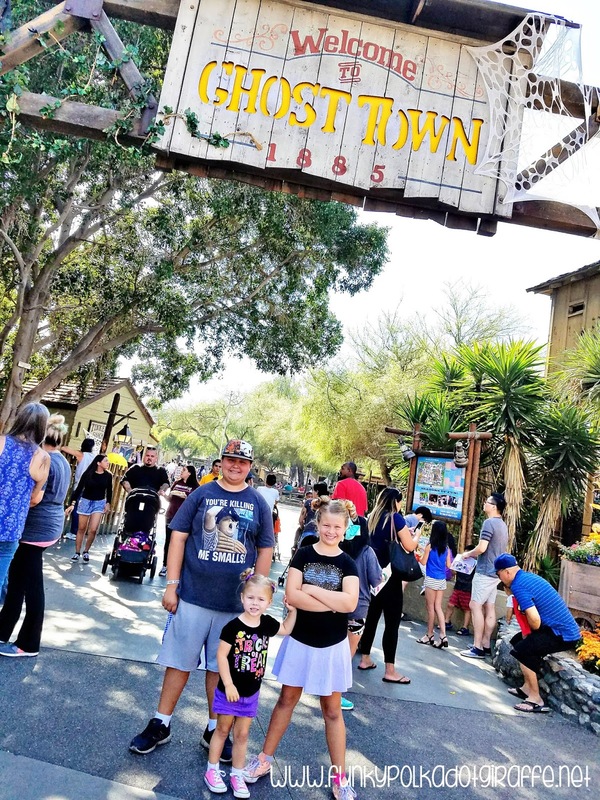 I often get asked by friends how they can make their visit to Knott's Berry Farm the very best because they want to get the most out of their visit. So, I've got a few tips to help you have the best time during Spooky Farm so you enjoy all that it has to offer during the Halloween season. During Knott's Spooky Farm the park opens at 9:00am. I suggest arriving at the park by 8:30 to get yourself parked and in line so you can hit up your favorite rides first thing in the morning. We always swing right as we enter the park and hit up Sidewinder and Camp Snoopy and JT rushes over to Silver Bullet so we can get on some of our favorites before it gets busy. You can access a map and a daily schedule online and they'll have them when you get to the park. 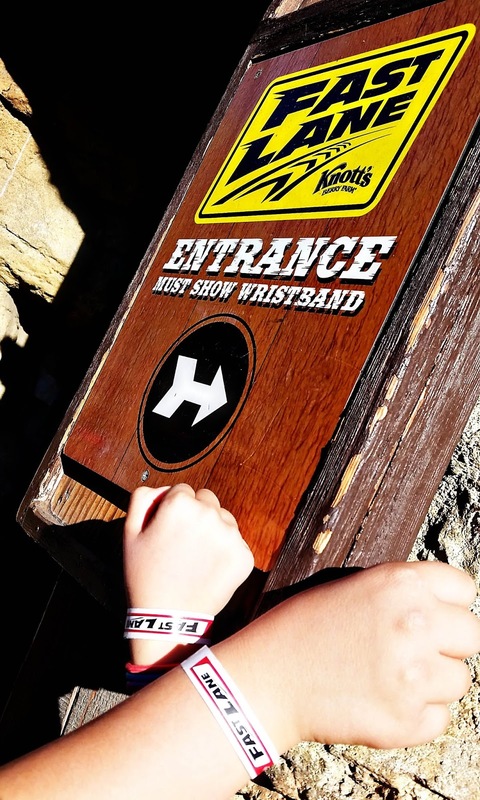 These make it easy to plan out what shows and attractions you want to make sure you don't miss. 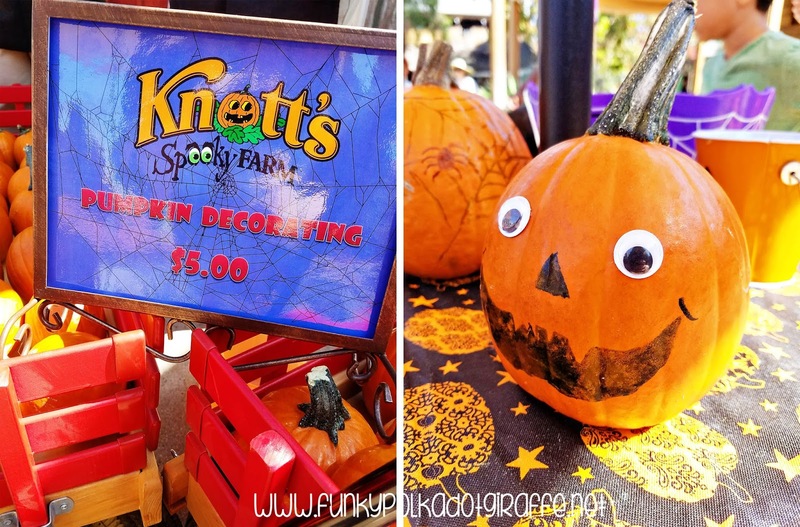 Since Knott's Spooky Farm takes place on the weekend the park will be busy. If you're out tom make the most of your riding experience, you may want to consider Fast Lane Passes. We have had them several times over the years and they are awesome! 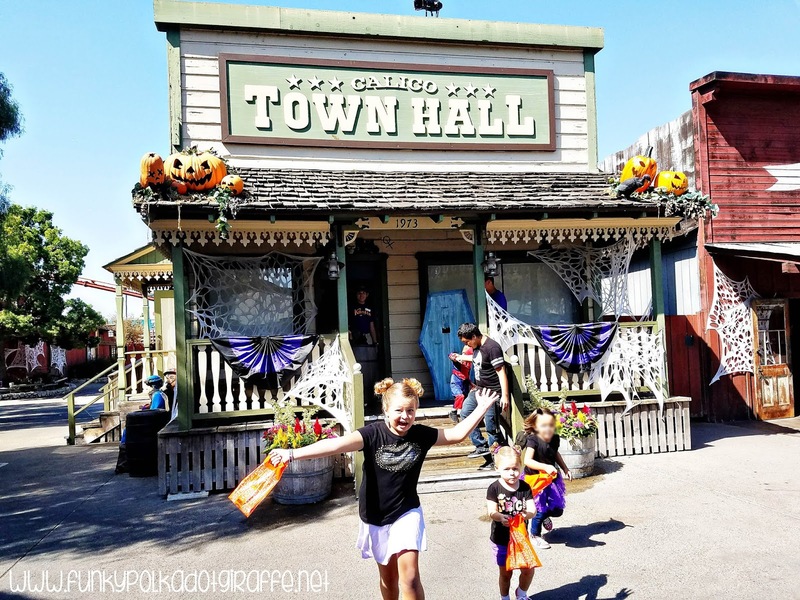 We got to ride the Halloween Hootenanny three times this time because we had Fast Lane Passes! The price varies depending on the date of your visit, so be sure to check into before you go. I loved being a season pass holder because we could come whenever we wanted and leave whenever we wanted. The 2018 Season Pass price is only slightly more than the cost of a day's admission, so I highly recommend it if you want the most bang for your buck. With a 2018 Season Pass you will get to enjoy all of the Seasons of Fun next year but will also receive one free admission to use in 2017. You can get your Season Pass now at the Best Offer of the Year! Regular passes are just $92 or nine easy payments of $10.22 and Gold Season Passes are $110 or nine payments of just $12.22. These offers end October 29, 2017. Applicable taxes and fees apply online. Payment plans are only available at knotts.com. Remember that Knott's Spooky Farm is only here weekends now through October 29th and on Halloween Day!!! Have a SPOOK-A-RIFIC time! !